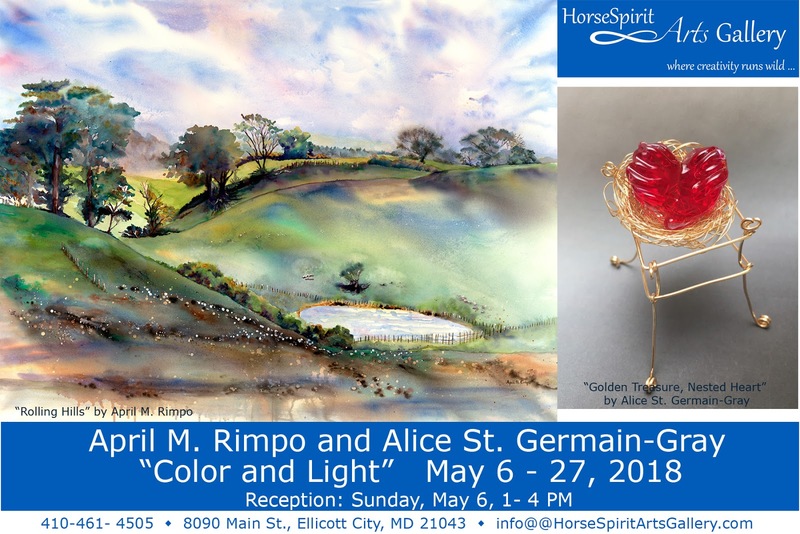 After a little over a year with HorseSpirit Arts Gallery, I am delighted to be featured in the gallery, from May 6 through May 27, 2018, along with Alice St. Germain-Gray. Alice St. Germain-Gray’s creative expressions merge both art & science to produce delicate and evocative pieces born of fire and glass. 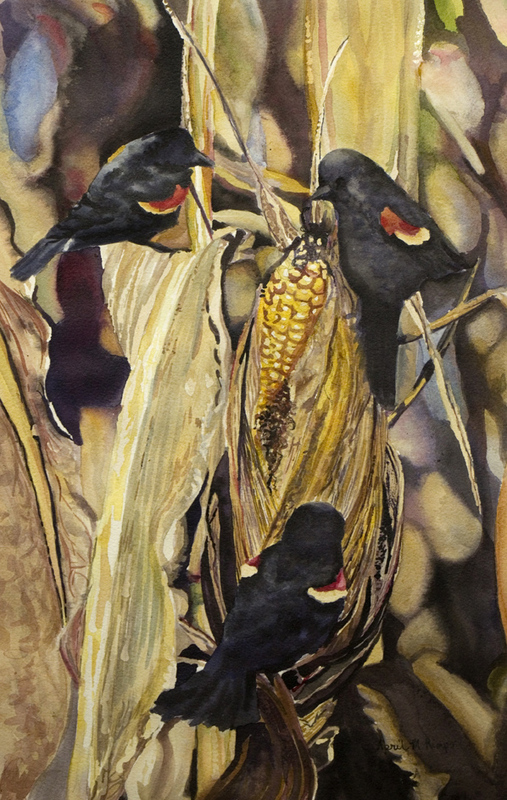 Her art has been featured in numerous publications, and she is a sought after contributor in workshops and conferences with national and international artists. my color palette varies with my emotions. Here are a few of the 24 paintings you will see at HorseSpirit Arts Gallery during May. 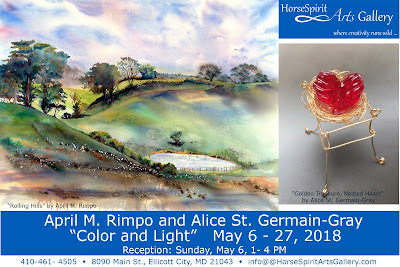 HorseSpirit is located at 8090 Main Street, Ellicott City, Maryland. I'd love to see you at the gallery. If you can't attend on May 6th, let me know when you plan to visit and I'll try to meet you there. 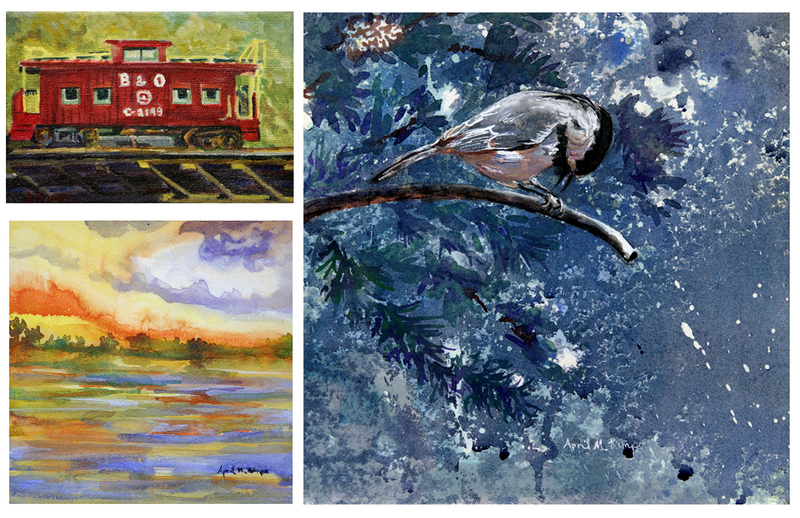 April’s paintings can be found in several editions of Arylicworks: The Best of Acrylic Painting and in the 2018 edition of Splash19: Illusion of Light, Best of Watercolor. There are certain types of scenes that become part of who we are. Places that are calm and serene and memories of special times. This is one of those for me. The location doesn't seem to matter. For me this scene brings back memories from my childhood when we visited an aunt and uncle who had a place in Rhode Island near a dock. It also brings back memories of trips to the coast of Maine, Annapolis, Maryland, Santa Cruz, and Whidbey Island in the Puget Sound. It's not that all of these places look exactly the same, but they all have docks and piers and a calming, relaxing effect on me. The sailboats bring back memories of sailing with a cousin in very small sailboat barely big enough for two. Do you have great memories of places on the water? I'd love to hear them. 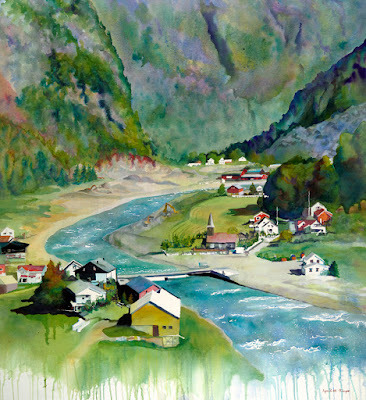 This year Ellicott City's SpringFest adds art demonstrations, face painting, and an Art Display with selections of artwork by artists and galleries sprinkled throughout Old Ellicott City. 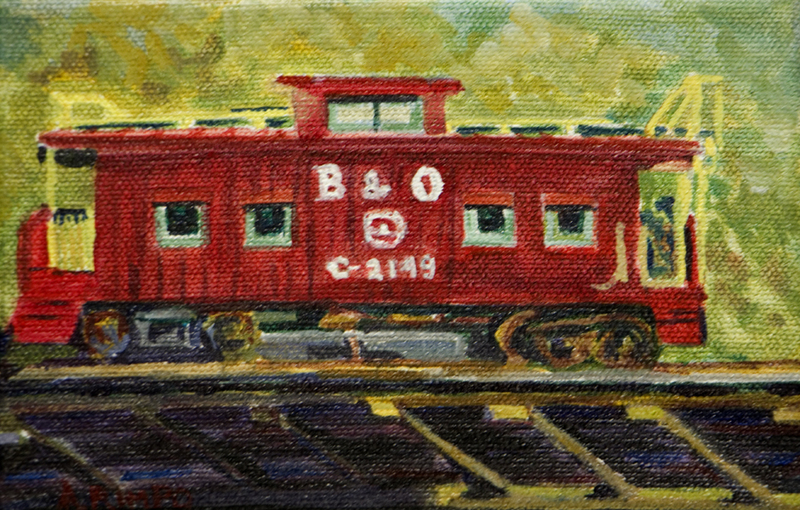 As a member of the Ellicott City Arts Coalition and an artist represented by HorseSpirit Arts Gallery, I will have art both in HorseSpirit Arts Gallery and in an Art Display Tent. At left are some of April's artwork that will be available for purchase. 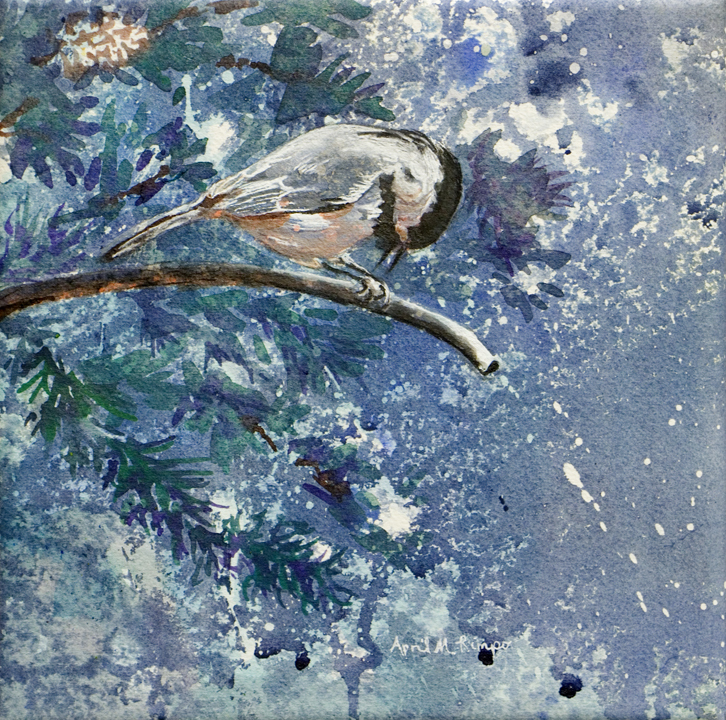 It's bound to be a fun day with 7 artists engaging you with art demonstrations, face painting for the children (and young at heart), plus artwork by more than a dozen artists and 6 galleries on display. Construction Rhythms was a fun painting to design. Whenever you have figures in scene they become an automatic focal point. Deciding where to place them was the challenge. I also loved the ladders and orange lifts, but didn't want them to take precedence over the men. After playing around with different croppings I decided to use this Cross layout, placing the standing man next to the crossing point. He is also between the two orange lifts, which are color spots that will automatically attract your eye. I'm hoping the man on the lower-right platform is a happy surprise. I love the patterns of the construction platforms, the ladders, and the architectural lines; so I decided to incorporate additional subtle patterns in quieter passages of the building to repeat those shapes. For the color scheme I decided on a triad of blue, orange, and yellow. Browns are considered part of the yellow family and can be mixed using combinations of blue and orange. The grays were combinations of all three elements of the triad. 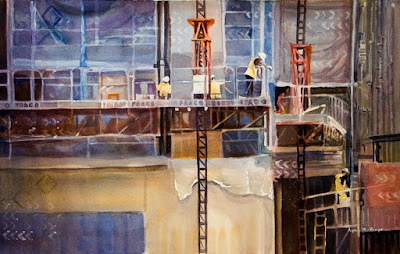 Construction Rhythms received the 3rd Place Award in the MFA 2018 National Online Exhibition "Working for a Living"
I've been thinking about painting construction workers for a while. Generally I am amused by the fact that, if there are three workers at a site, it typically looks like one is working and the others are watching. The day I photographed these men, who were digging a hole related to the installation of new traffic signals, I saw both of them were working quite hard. 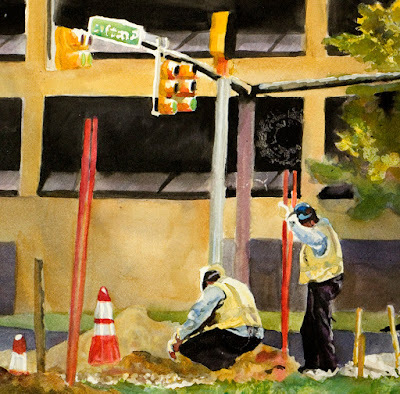 The particular shot that resulted in this painting happened to be taken shortly after the standing man finished digging the hole and the other was now starting to work inside it. No disrespect to either man. Anyone who works in the elements: in construction, landscaping, installations like the one shown here, deserve a thanks for braving whatever the weather may serve up on a given day. They don't get to pick and choose which days they'll be working outdoors. Since I dislike both very hot and very cold weather I appreciate what these people do for us.